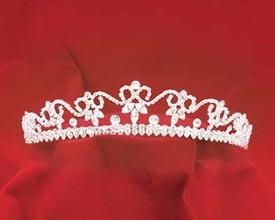 A beautiful Scroll Tiara encrusted with rhinestones. 1 3/8" high. Choose a gold or silver metal crown setting.